The ancient region of Ferghana or Farghana lay largely within modern Tajikistan. Although the name is sometimes shown as Farghana, today Fergana or Fargana is more common. When the Persian King Cyrus the Great reached this point in 544 BC, during his campaigns between about 546-540 BC, he established the furthest of a series of frontier forts which were designed to keep out the warlike Massagetae to the north. These frontier forts were generally referred to as cities by ancient authors. Cyropolis (Latin) or Kyroupolis (Greek) was the name of this particular fort, possibly from the Persian Kyreskhata. Its location is uncertain, but it has been identified with the modern city of Istaravshan, although nearby Khujand is another candidate. Kyreskhata may also have formed the basis of the Greek city of Alexander Eschate following its conquest by Alexander himself. Both locations lies close to the headwaters of the River Jaxartes (the Syr Darya). Modern Ferghana was founded in 1876 as a garrison town. These eastern regions of the new-found Persian empire were ancestral homelands for the Persians themselves. They formed the Indo-Iranian melting pot from which the Parsua had migrated west in the first place to reach Persis. There would have been no language barriers for Cyrus' forces and few cultural differences. Although details of his conquests are relatively poor, he seemingly experienced few problems in uniting the various tribes under his governance. He was the first to exert any form of imperial control here, although his campaign may have been driven partially by a desire to recreate the semi-mythical kingdom of Turan in the land of Tūr, but now under Persian control. Curiously the Persians had little knowledge of what lay to the north of their eastern empire, with the result that Alexander the Great was less well-informed about the region than earlier Ionian settlers on the Black Sea coast had been. Ferghana was the outermost outpost of Persian and Greek civilisation in Central Asia, located at its far north-eastern corner. 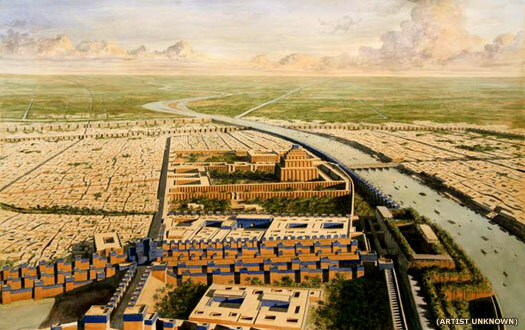 It was generally part of the province of Sogdiana, being administered from the capital at Marakanda (modern Samarkand). Bactria, the heartland of Greek power in the far east, lay to the south. To the north and north-west were barbarian tribes, especially the aforementioned Massagetae, a seemingly-large confederation of tribes. Ferghana would later form an important staging post on the Silk Road, but during the Greek period this famous overland trading route was in its infancy. The defeat of the Medes opens the floodgates for Cyrus the Great with a wave of conquests, beginning in the west from 549 BC but focussing towards the east of the Persians from about 546 BC. 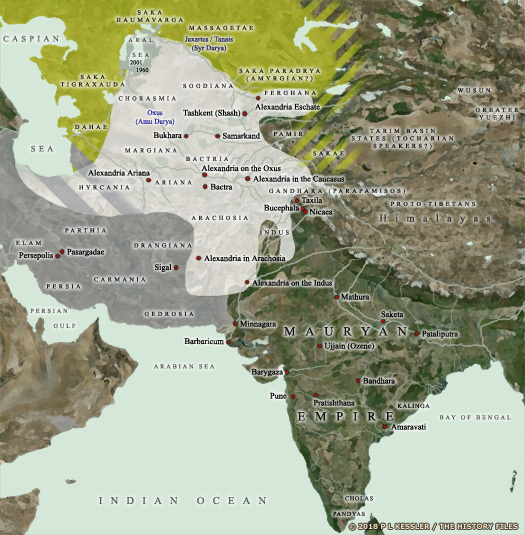 Eastern Iran falls during a more drawn-out campaign between about 546-540 BC, which may be when Maka is taken (presumed to be the southern coastal strip of the Arabian Sea). Further eastern regions now fall, namely Arachosia, Aria, Bactria, Carmania, Chorasmia, Drangiana, Gandhara, Gedrosia, Hyrcania, Margiana, Parthia, Saka (at least part of the broad tribal lands of the Saka), and Thatagush - all added to the empire, although records for these campaigns are characteristically sparse. The heartland of Sogdiana (or Sogdia) is also drawn into the empire where it is also named Huvarazmish in some Persian inscriptions. At some point Cyrus builds a line of seven forts to defend his frontier in Suguda and the neighbouring region of Ferghana against the tribal Massagetae to the north, the strongest of these being Kyra or Kyreskhata (Cyropilis - the Greek form of its name). Ferghana remains administered from the Sogdian capital, Marakand, and is not a separate province in itself. The fortress and town of Cyropolis is established in Ferghana itself to provide a much-needed defensive chain. 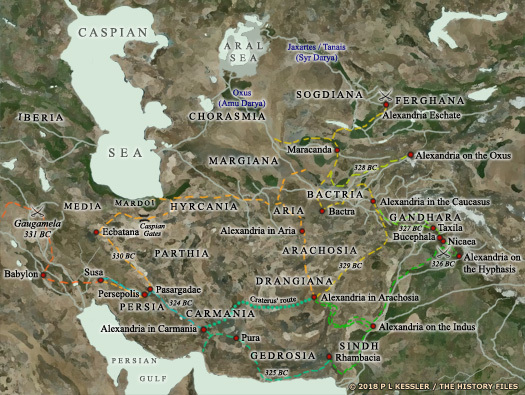 During his conquest of Sogdiana, Alexander focuses on the largest and best-defended of seven towns in the region, this being Cyropilis in the Ferghana region (the Kyreskhata of Cyrus the Great, one of his seven forts or towns). While he takes the other towns, he sends Craterus to pin down the defenders of Cyropolis. Following the quick fall of the other towns, the storming of Cyropolis is led by Alexander in person. Both he and Craterus are wounded but the town and its central fortress are taken. Sogdiana and Ferghana now belong to the Greeks. The Argead were the ruling family and founders of Macedonia who reached their greatest extent under Alexander the Great and his two successors before the kingdom broke up into several Hellenic sections. 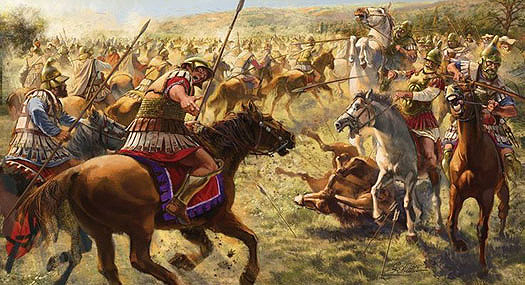 Following Alexander's conquest of central and eastern Persia in 331-328 BC, the Greek empire ruled the region until Alexander's death in 323 BC and the subsequent regency period which ended in 310 BC. Alexander's successors held no real power, being mere figureheads for the generals who really held control of Alexander's empire. Following that latter period and during the course of several wars, Aria was left in the hands of the Seleucid empire from 305 BC. The Amyrgian subset of Sakas were fairly well attested, after coming into contact with both the Achaemenids (who called them Sakaibish) and the Greeks under Alexander. They were apparently centred on the Amyrgian plain which equates to all of Ferghana and also the Alai valley - well to the east of most of the Sakas. They accompanied Alexander on campaign, under their 'King Omarg' and later entered India along with the Kambojas to found a kingdom in Gandhara (now in northern Pakistan), displacing the ailing Indo-Greek kings. Following the death of Alexander the Great and the subsequent Greek in-fighting, Bactria is part of the Seleucid empire until 256 BC, when an independent Bactrian kingdom is declared, followed by an Indo-Greek expansion eastwards. With Philip being reassigned to Parthia, his replacement in the east is Stasanor the Solian, former satrap of Aria and Drangiana. This new satrap is the brother to Stasander, his replacement in Aria and Drangiana. Perhaps he also has more of a focus towards the Northern Indus territories than the eastern coast of the Caspian Sea, as suggested by later events. His territory initially extends as far north as Ferghana, which contains the city of Alexandria Eschate, while Stasander also has ambitions. Like the Persians before them, the Greeks under Alexander place the Amyrgian Sakas beyond Sogdiana, across the River Tanais (otherwise known as the Iaxartes, Jaxartes, or Syr Darya, which forms the boundary between Sogdiana and Scythia). This is thanks to their having encountered them after crossing Sogdiana and the Syr Darya in the approximate region of Alexandria Eschate in the Ferghana region ('Eschate' meaning 'the Furthest', possibly modern Khojend, but see the introduction, above). It is generally accepted that they control all of Ferghana (immediately to the east of Sogdiana) and the Alai Valley. Indeed, they may have been relocated onto the plain following their conquest by the Persians. Bactria is taken by the Seleucids around 312 BC. During the break-up of the empire, it appears that parts of the area become independent, but much of it remains under the control of the Greek satrap of Bactria and Sogdiana and, after 256 BC, the kings of Bactria. Macedonian Ferghana appears to drift largely out of central control, but still remains well within the Greek sphere of influence. During the last of the Wars of the Diadochi, Seleucus was able to expand his holdings with some ruthlessness, building up his stock of Alexander's far eastern regions as far as the borders of India and the River Indus (Sindh). Appian's work, The Syrian Wars, provides a detailed list of these regions, which included Arabia, Arachosia, Aria, Armenia, Bactria, 'Seleucid' Cappadocia (as it was known) by 301 BC, Carmania, Cilicia (eventually), Drangiana, Gedrosia, Hyrcania, Media, Mesopotamia, Paropamisadae, Parthia, Persia, Sogdiana, and Tapouria (a small satrapy beyond Hyrcania), plus eastern areas of Phrygia. Once safely under Seleucid control after the conclusion of the Greek Wars of the Diadochi, Ferghana was governed by Macedonian satraps. The descendants of many of these became independent kings, after Bactria had been cut off from the Seleucids by Parthian incursion into central Persia. The Bactrian kingdom consisted of the core provinces of Bactria and Sogdiana, the latter of which included Ferghana. Located in one of the richest and most urbanised of regions, Macedonian Bactria quickly blossomed into a large eastern Greek empire, but continual internal discord and usurpations saw it progressively fragmented and vulnerable to outside conquest. The eastern section was almost permanently separated from Bactria and came to be known as the Indo-Greek kingdom. The chronology of the Indo-Bactrian rulers is based largely on numismatic evidence (coinage). There are few written accounts, and other records are relatively sparse, while frequent internecine conflicts makes the facts even harder to pin down, so dates are rarely reliable. Some possible kings are known only from a few coins, and the interpretation of these can sometimes be very uncertain. Details about Ferghana at this time are even harder to come by. Despite its position on the proto-Silk Road, it seems to have been a marginal territory, little threatened as yet by barbarians to the north and well out of the reach of any more organised enemies to the west. Greeks would seem to have used it as a base for explorations further afield, into the Tarim Basin of the Lesser Yuezhi where Christian-style churches are to be found in the first millennium AD, and making contacts with the extreme limits of the Chinese state. Diodotus declares independence from Seleucid Greek rule at the same time as the satrap of Parthia. It may even be the actions of Andragoras of Parthia which force the hand of Diodotus I Soter, since there is little immediate chance of Seleucid retaliation. However, although the written evidence is confused and somewhat contradictory, it is more likely to happen the other way around. Bactria declares independence and Parthia follows. Diodotus now rules the former provinces of Bactria, Sogdiana (to the north of Bactria), Ferghana (modern eastern Uzbekistan), and Arachosia (modern Kandahar). It is Strabo who confirms that Sogdiana at this time remains a Greco-Bactrian possession. Diodotus II of Bactria is overthrown by Euthydemus, possibly the satrap of Sogdiana. The date is uncertain and Strabo puts forward 223/221 BC as an alternative, placing it within a period of internal Seleucid discord. Satrap of Sogdiana? Founder of the Euthydemids of Bactria. The realm of Euthydemus of Bactria is a large one, including Sogdiana and Ferghana to the north, and Margiana and Aria to the west. There are indications that from Alexandria Eschate in Ferghana the Greco-Bactrians may lead expeditions as far as Kashgar (a little under three hundred and twenty kilometres (two hundred miles) due east of Ferghana), and Urumqi in Chinese Turkestan. There they would be able to establish the first known contacts between China and the West around 220 BC. Under Mithradates the Parthians rise from obscurity to become a major regional power, although a precise chronology is not possible. Their first expansion takes the former province of Aria (now northern Afghanistan) from the Greco-Bactrian kingdom. It seems possible that Aria (and possibly a rebellious Drangiana too) had already been conquered once by the Arsacids, with the Greco-Bactrians recapturing it, probably during the reign of Euthydemus I Theos. During the reign of Eucratides I the Greco-Bactrians are also engaged in warfare against the people of Sogdiana, showing that they have lost control of that northern region too (and by inference Ferghana). The Sakas (as the Amyrgians) are displaced from Ferghana by the Greater Yuezhi. They are undoubtedly pushed towards neighbouring Sogdiana, where they are dominant enough to take control of the region, displacing whichever regional tyrants may have arisen or becoming their overlords. This is an event that is connected with the migration of the Greater Yuezhi across Da Yuan (the Chinese term for Ferghana), following another defeat, this time by an alliance of the Wusun and the Xiongnu. The Greater Yuezhi are forced to move again, causing a ripple-effect of barbarian migration. These mass migrations of the second century BC are confused and somewhat lacking in Greek and Chinese sources because the territory concerned is beyond any detailed understanding of theirs. Whatever the reason, the Saka king transfers his headquarters to the south, across the Hanging Passage that leads to Jibin. This is part of a southwards trend for the Sakas, and by approximately the mid-first century BC, Saka kings appear in India. Having been overwhelmed by barbarian tribes, Ferghana drifts out of recorded history for several centuries. In the twentieth century it forms the eastern territory of Uzbekistan.